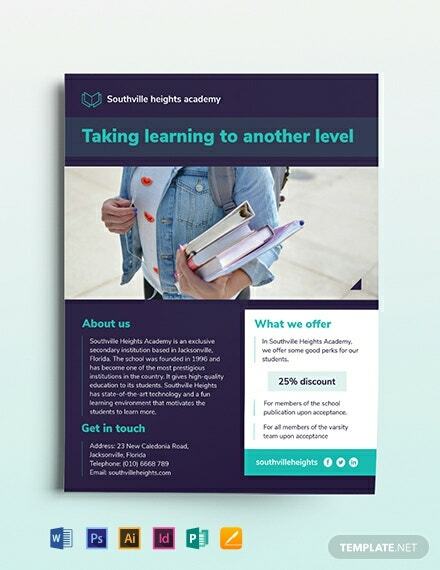 Flyer examples are a good thing when you are planning to talk about your latest deals and promotions. 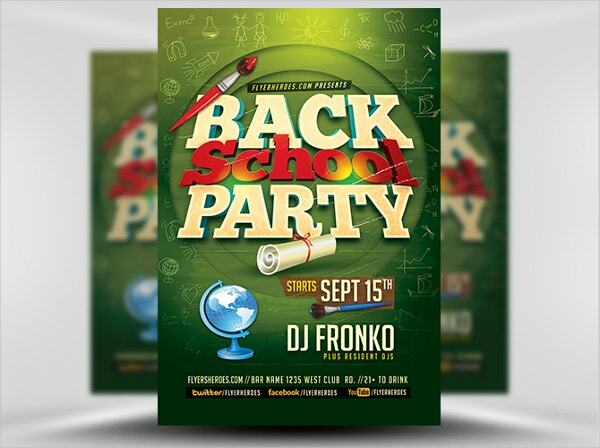 There are different themes to choose from of which “back to school” is quite in vogue today- especially when it comes to glam events like club parties or DJ nights. 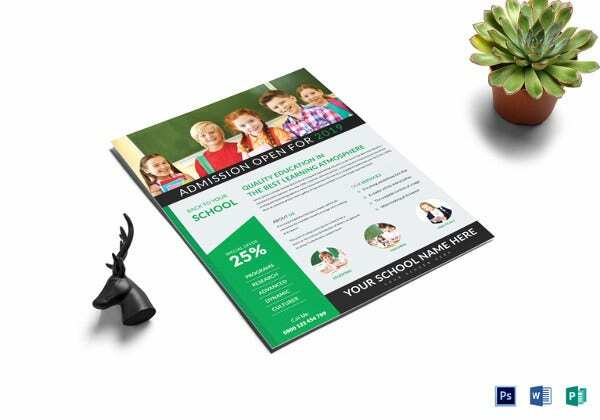 If you are looking to come up with something out of the box with your flyer promotion campaign that would trigger interest in your audience, there are ready made back to School Flyer Templates to help you out. 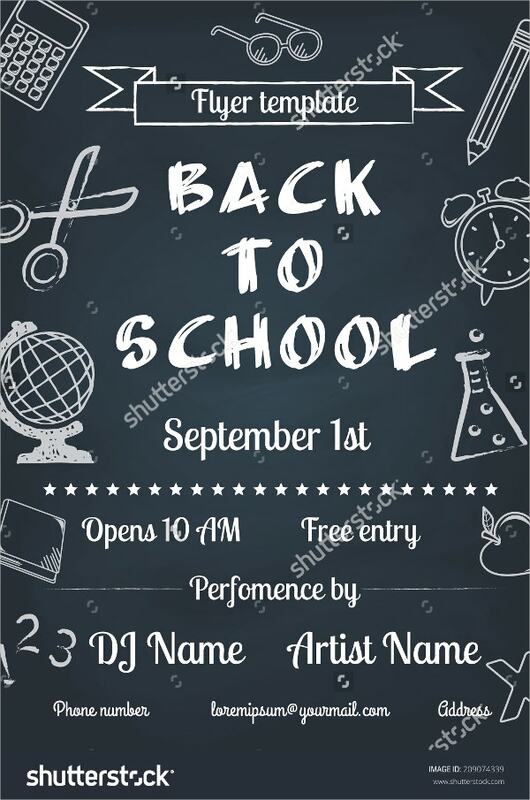 If you are looking for back to school flyers for your upcoming DJ event, this Chalkboard Flyer template would be an attractive option for your marketing campaign. 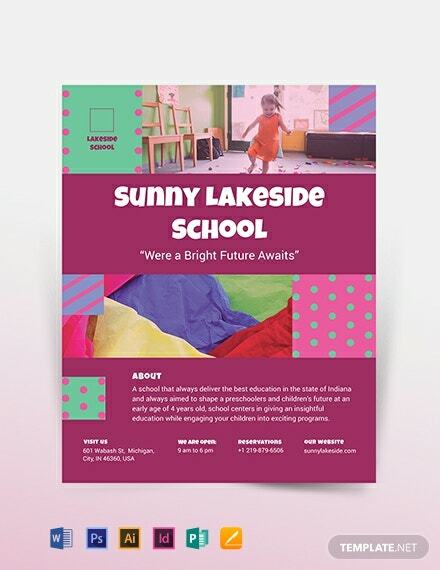 It’s colorful, bright and amusing. The glam disco ball, the vibrant backdrop, the old fonts- you have everything here that remind of a 90’s themed dance party. 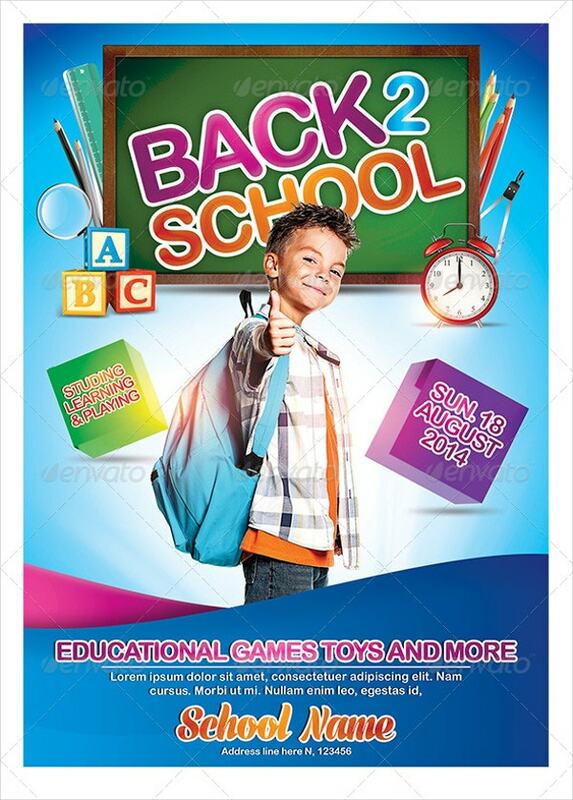 The pencils popping up emulate that very “back to school” aura with elan. 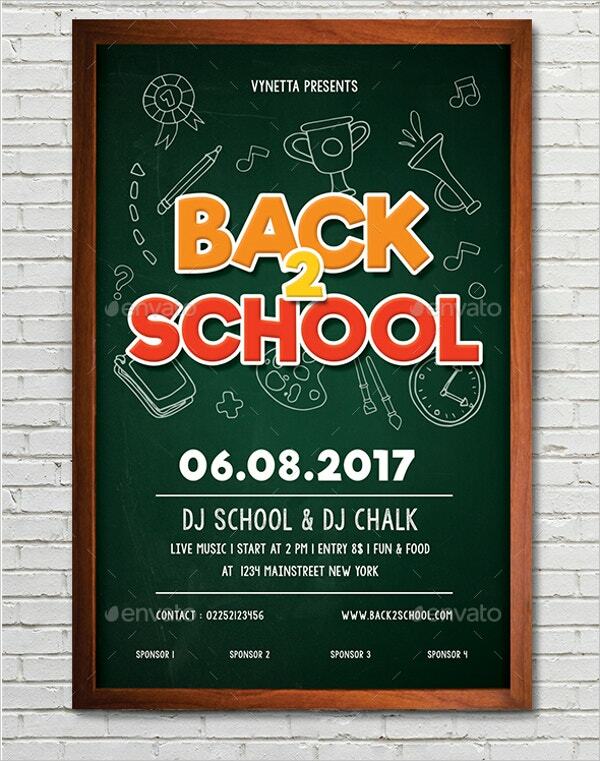 The chalkboard template here looks apt with its chalk font when you are about to bring in a school-like feel to your bash flyer. 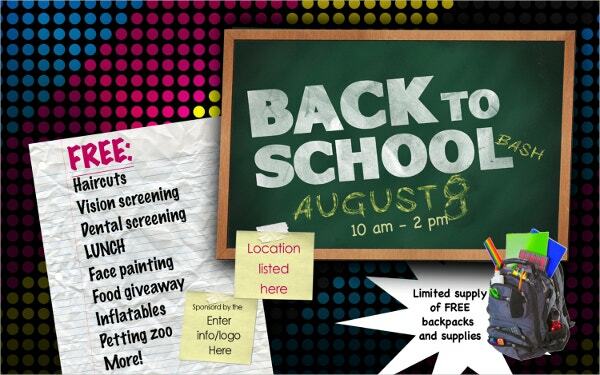 It’s simple yet fun and allows you to upload all the basic details about your event. 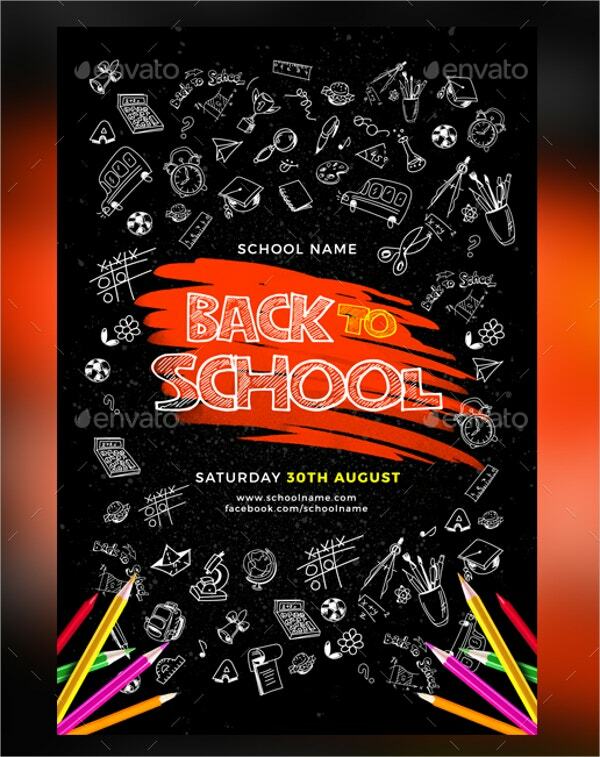 The faded black chalkboard background creates a sweet nostalgic feel, sweeping you to the amazing by-gone school days. 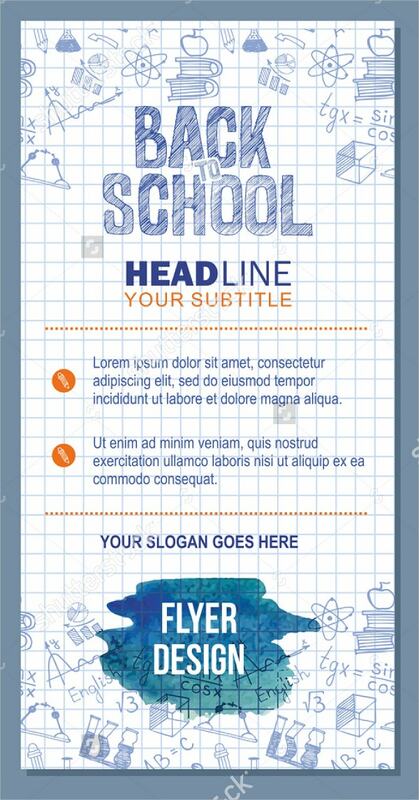 The template has done a brilliant job by incorporating different elements of school life on the board. 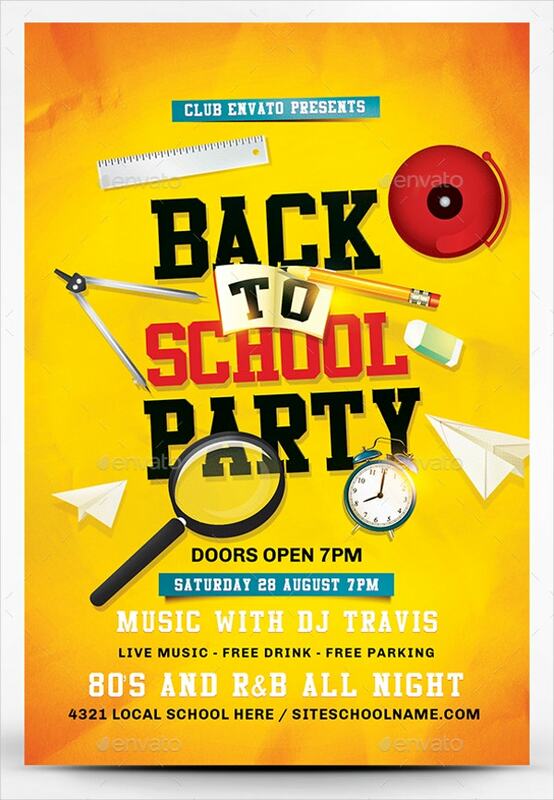 If you are looking for a free back to school flyer for your retro themed DJ party, this template here looks fitting with its cheerful yellow theme that takes us back to the cheerful fun days of school. 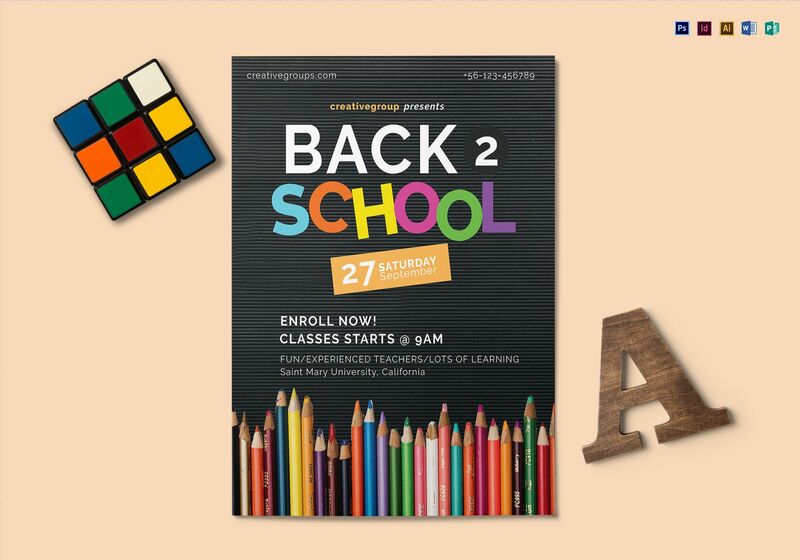 You have a smart back to school flyer here with the typical elements of a classroom, starting from the black chalkboard decked up with compass, globe, book to the notebook page. 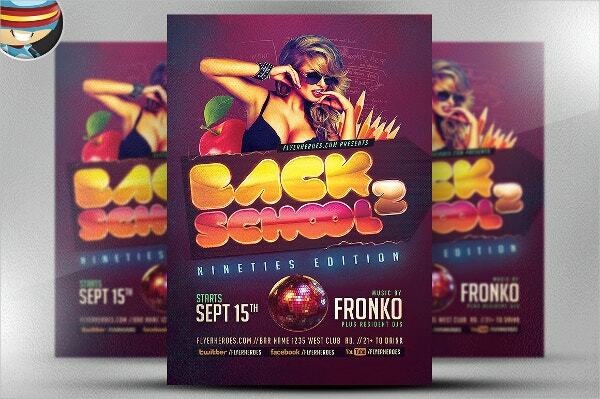 You have two cool back to school flyers here designed in the backdrop of a math copy. 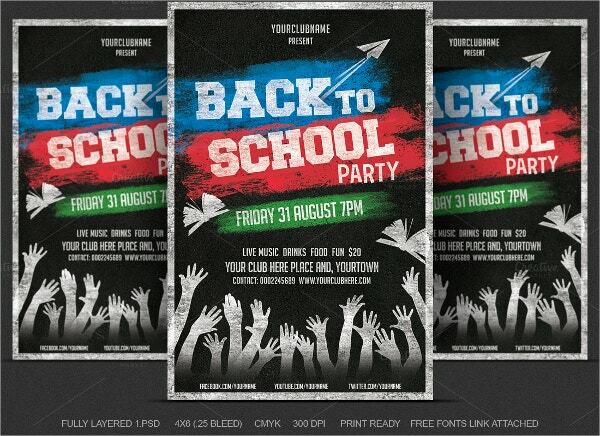 The classroom doodles all across the copy have helped to create a more realistic feel of the school days. 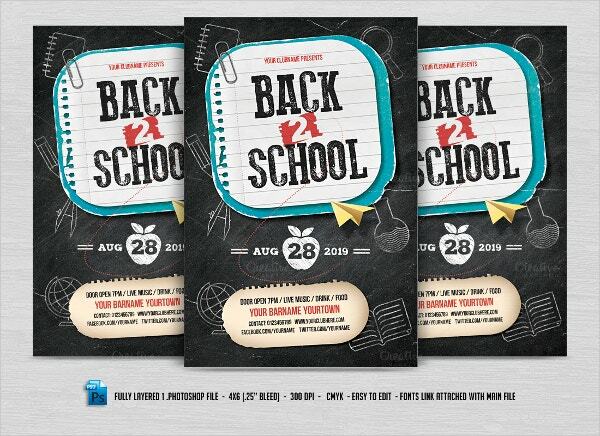 The pitch black backdrop immediately reminds of the classroom chalkboard and more so, courtesy the chalk illustrations- and of course the pencils and pop of bright orange complete the look of the T.
From the shooting paper rocket to the eager hands dancing in joy to the chalkboard backdrop to the chalk lettering- you have every element here when you are looking for perfect back to school flyers. 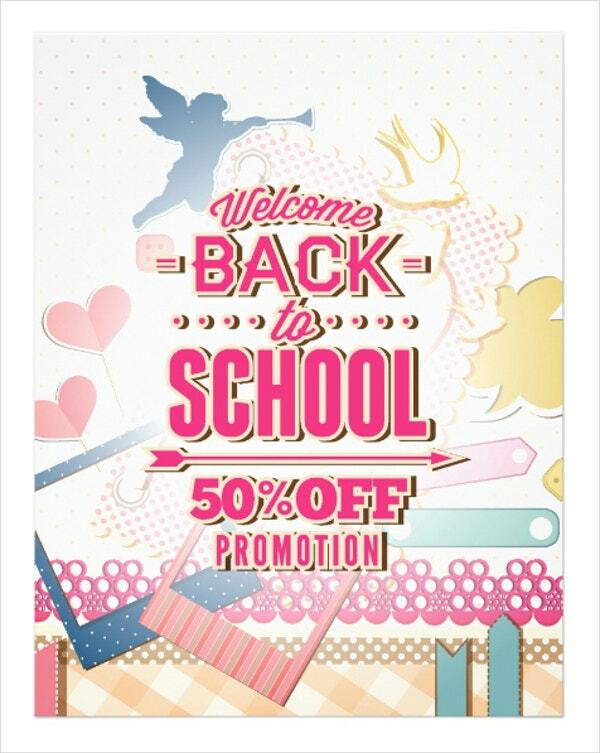 With two little kids drawing on their math homework copy, these back to school flyers come with cuteness overloaded. 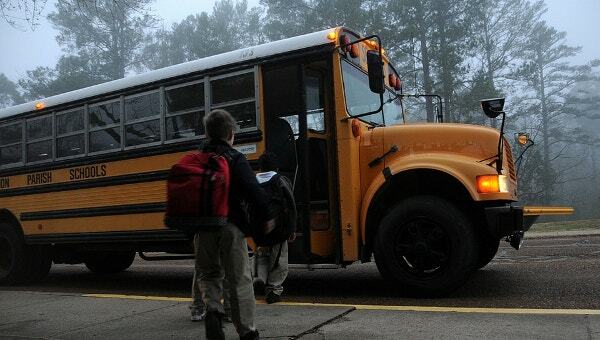 The pop of bright colors here and there remind of the joyous school days. 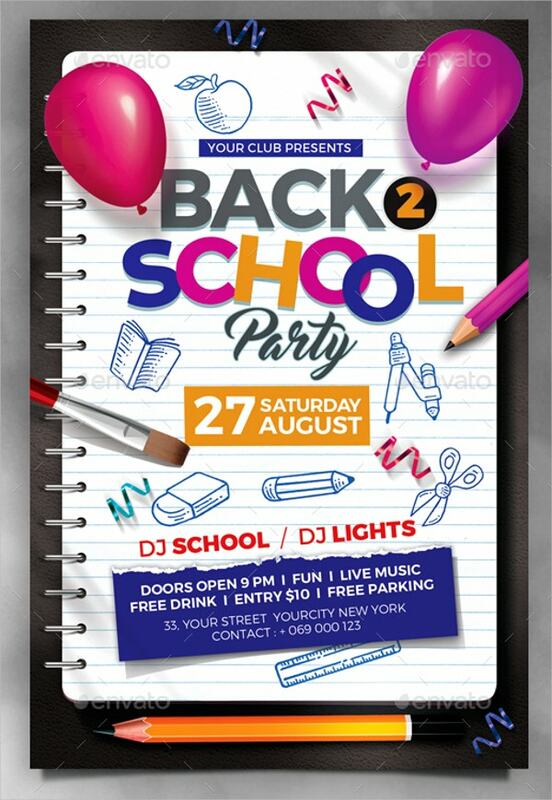 With the books, the pencils, the certificate scroll and the library at the backdrop- this template here has everything you need for a complete “back to school” Club Flyer. 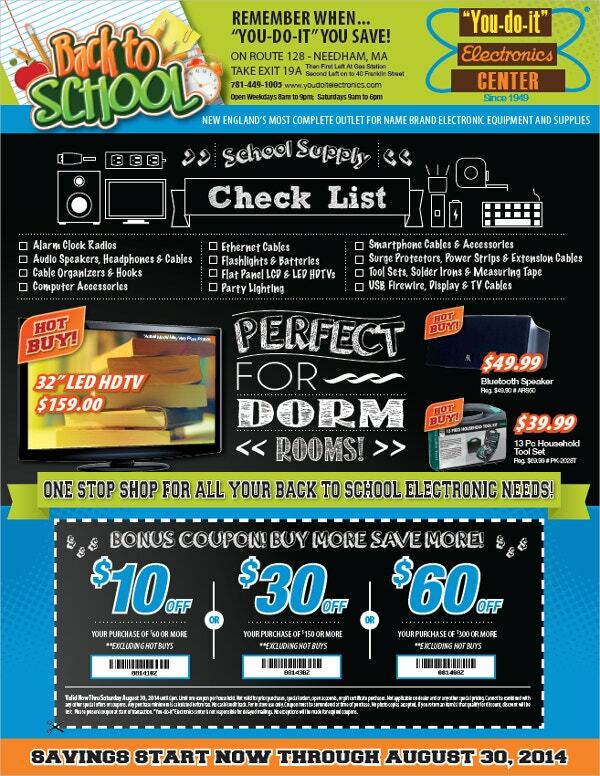 This free back to school flyer cracks the deal perfectly with its notebook backdrop decorated with cute illustrations of typical classroom elements. 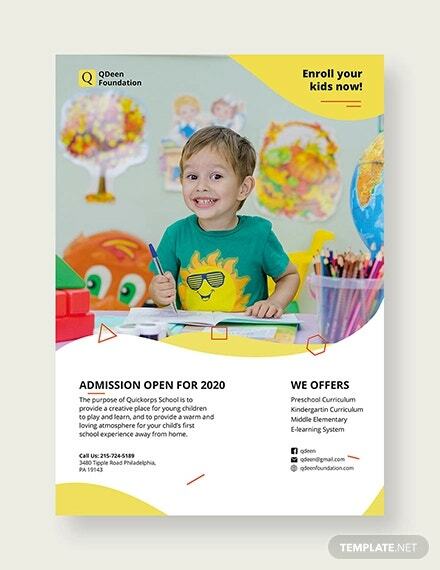 The colorful balloons, pencils and brush fulfill the overall look. 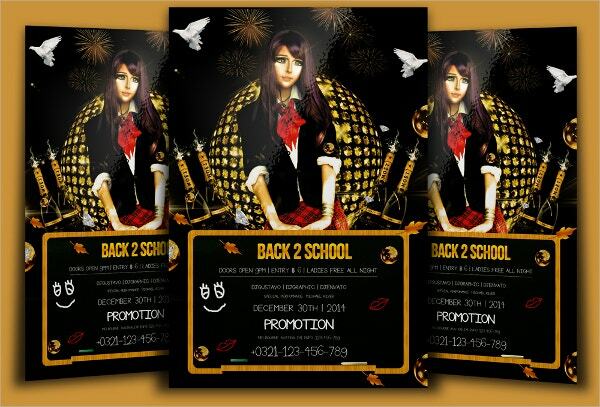 With the girl dressed like a school girl, the pigeons flying, the bling ball and the blackboard below- you have all the signature elements here of a high school prom party. 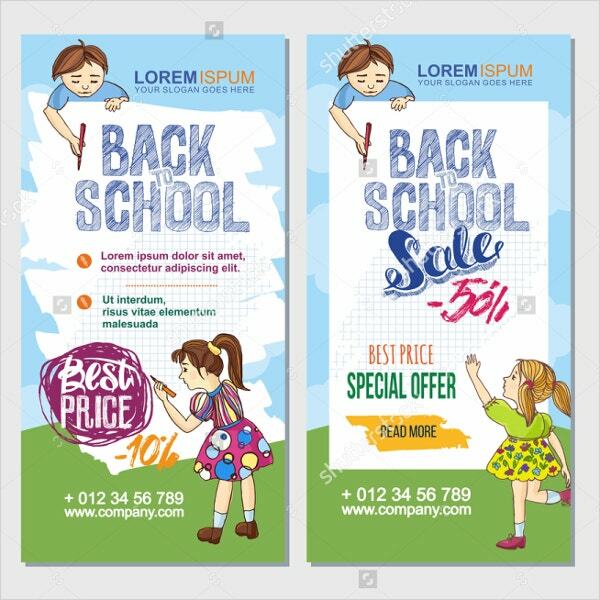 You have an elaborate back to School Flyer here in a vintage postcard format which enables you to detail your multiple latest deals along with pictures and promotional information. 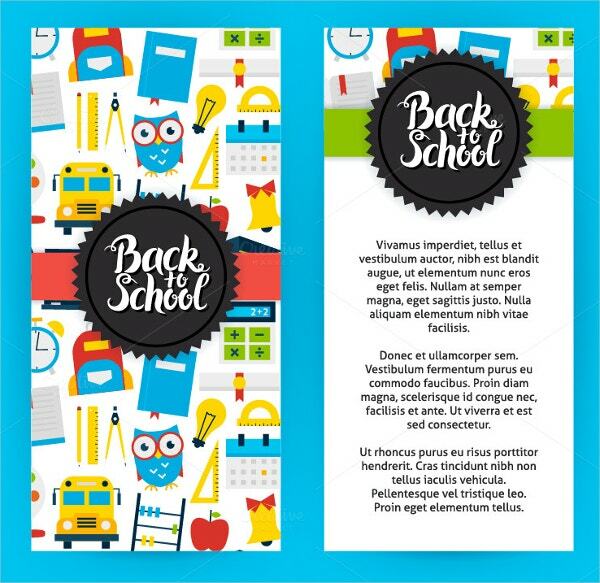 This is an interesting back to school flyer template designed in two separate sections- the left side looks cute with colorful classroom art while the right side can be deployed to detail your promotional message. 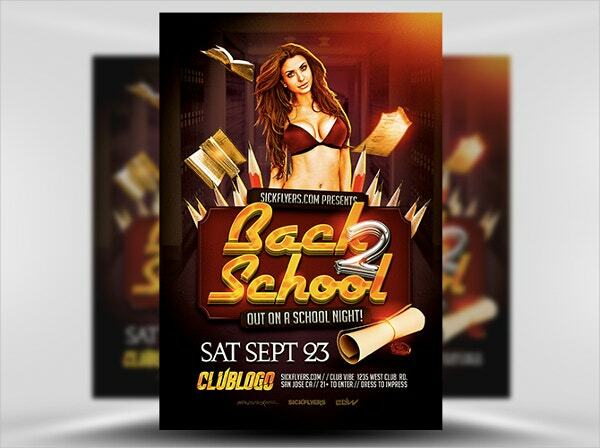 A classroom theme for a club party will undoubtedly grab eyeballs, taking all of us back to the fun-filled old school days. 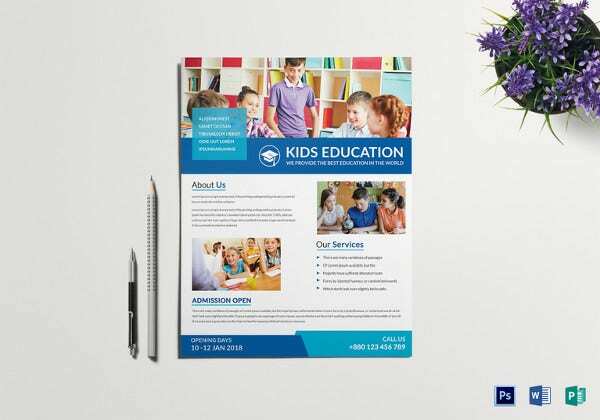 The school flyers mentioned above are here to help you out with several ideas when you are planning a school theme for your flyer campaign- from cute to glam to edgy to vintage- you have every style here.